TAURUS (April 20-May 20): "Creativity is intelligence having fun." Approximately 30,000 sites on the Internet attribute that quote to iconic genius Albert Einstein. But my research strongly suggests that he did not actually say that. Who did? It doesn't matter. For the purposes of this horoscope, there are just two essential points to concentrate on. First, for the foreseeable future, your supreme law of life should be "creativity is intelligence having fun." Second, it's not enough to cavort and play and improvise, and it's not enough to be discerning and shrewd and observant. Be all those things. GEMINI (May 21-June 20): In Western culture, the peacock is a symbol of vanity. When we see the bird display its stunning array of iridescent feathers, we might think it's lovely, but may also mutter, "What a show-off." But other traditions have treated the peacock as a more purely positive emblem: an embodiment of hard-won and triumphant radiance. 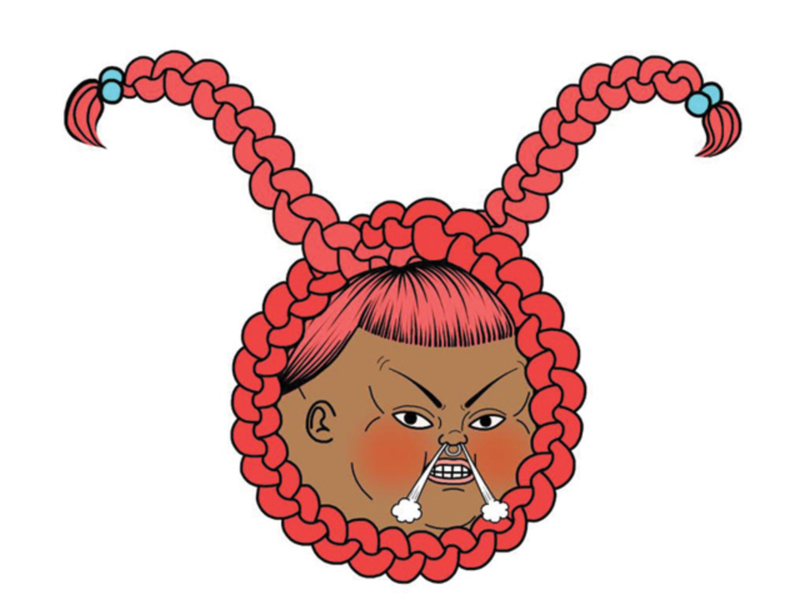 In Tibetan Buddhist myths, for example, its glorious plumage is said to be derived from its transmutation of the poisons it absorbs when it devours dangerous serpents. This version of the peacock is your power animal for now, Gemini. Take full advantage of your ability to convert noxious situations and fractious emotions into beautiful assets. CANCER (June 21-July 22): "Clear moments are so short," opines poet Adam Zagajewski. "There is much more darkness. More ocean than terra firma. More shadow than form." Here's what I have to say about that: Even if it does indeed describe the course of ordinary life for most people, it does not currently apply to you. On the contrary. You're in a phase that will bring an unusually high percentage of lucidity. The light shining from your eyes and the thoughts coalescing in your brain will be extra pure and bright. In the world around you, there may be occasional patches of chaos and confusion, but your luminosity will guide you through them. LEO (July 23-Aug. 22): "Dear Smart Operator: My name is Captain Jonathan Orances. I presently serve in the United Nations Assistance Mission in Afghanistan. I am asking for your help with the safekeeping of a trunk containing funds in the amount of $7.9 million, which I secured during our team's raid of a poppy farmer in Kandahar Province. The plan is to ship this box to Luxembourg, and from there a diplomat will deliver it to your designated location. When I return home on leave, I will take possession of the trunk. You will be rewarded handsomely for your assistance. If you can be trusted, send me your details. Best regards, Captain Jonathan Orances." You may receive a tempting but risky offer like this in the near future, Leo. I suggest you turn it down. If you do, I bet a somewhat less interesting but far less risky offer will come your way. VIRGO (Aug. 23-Sept. 22): "Some things need to be fixed, others to be left broken," writes poet James Richardson. The coming weeks will be an ideal time for you to make final decisions about which are which in your own life. Are there relationships and dreams and structures that are either too damaged to salvage or undeserving of your hard labor? Consider the possibility that you will abandon them for good. Are there relationships and dreams and structures that are cracked, but possible to repair and worthy of your diligent love? Make a plan to revive or reinvent them. LIBRA (Sept. 23-Oct. 22): Once every year, it is healthy and wise to make an ultimate confession — to express everything you regret and bemoan in one cathartic swoop, and then be free of its subliminal nagging for another year. The coming days will be a perfect time to do this. For inspiration, read an excerpt from Jeanann Vernee's "Genetics of Regret": "I'm sorry I lied. Sorry I drew the picture of the dead cat. I'm sorry about the stolen tampons and the nest of mice in the stove. I'm sorry about the slashed window screens. I'm sorry it took 36 years to say this. Sorry that all I can do is worry what happens next. Sorry for the weevils and the dead grass. Sorry I vomited in the wash drain. Sorry I left. Sorry I came back. I'm sorry it comes like this. Flood and undertow." SCORPIO (Oct. 23-Nov. 21): According to the British podcast series "No Such Thing as a Fish," there were only a few satisfying connubial relationships in late 18th-century England. One publication at that time declared that of the country's 872,564 married couples, just nine were truly happy. I wonder if the percentage is higher for modern twosomes. Whether it is or not, I have good news: My reading of the astrological omens suggests that you Scorpios will have an unusually good chance of cultivating vibrant intimacy in the coming weeks. Take advantage of this grace period, please! SAGITTARIUS (Nov. 22-Dec. 21): "Some days I feel like playing it smooth," says a character in Raymond Chandler's short story "Trouble Is My Business," "and some days I feel like playing it like a waffle iron." I suspect that you Sagittarians will be in the latter phase until at least May 24. It won't be prime time for silky strategies and glossy gambits and velvety victories. You'll be better able to take advantage of fate's fabulous farces if you're geared up for edgy lessons and checkered challenges and intricate motifs. CAPRICORN (Dec. 22-Jan. 19): Author Rebecca Solnit says that when she pictures herself as she was at age 15, "I see flames shooting up, see myself falling off the edge of the world, and am amazed I survived not the outside world but the inside one." Let that serve as an inspiration, Capricorn. Now is an excellent time for you to celebrate the heroic, messy, improbable victories of your past. You are ready and ripe to honor the crazy intelligence and dumb luck that guided you as you fought to overcome seemingly insurmountable obstacles. You have a right and a duty to congratulate yourself for the suffering you have escaped and inner demons you have vanquished. AQUARIUS (Jan. 20-Feb. 18): "To regain patience, learn to love the sour, the bitter, the salty, the clear." The poet James Richardson wrote that wry advice, and now I'm passing it on to you. Why now? Because if you enhance your appreciation for the sour, the bitter, the salty, and the clear, you will not only regain patience, but also generate unexpected opportunities. You will tonify your mood, beautify your attitude, and deepen your gravitas. So I hope you will invite and welcome the lumpy and the dappled, my dear. I hope you'll seek out the tangy, the smoldering, the soggy, the spunky, the chirpy, the gritty, and an array of other experiences you may have previously kept at a distance. PISCES (Feb. 19-March 20): "A thousand half-loves must be forsaken to take one whole heart home." That's from a Coleman Barks' translation of a poem by the 13th-century Islamic scholar and mystic known as Rumi. I regard this epigram as a key theme for you during the next 12 months. You will be invited to shed a host of wishy-washy wishes so as to become strong and smart enough to go in quest of a very few burning, churning yearnings. Are you ready to sacrifice the mediocre in service to the sublime? ARIES (March 21-April 19): Russian writer Anton Chekhov was renowned for the crisp, succinct style of his short stories and plays. As he evolved, his pithiness grew. "I now have a mania for shortness," he wrote. "Whatever I read — my own work, or other people's — it all seems to me not short enough." I propose that we make Chekhov your patron saint for a while. According to my analysis of the astrological omens, you are in a phase when your personal power feeds on terse efficiency. You thrive on being vigorously concise and deftly focused and cheerfully devoted to the crux of every matter.